(For blogging, purposes, I am using the name “domain\test.user”) The Principal Name, “domain\test.user” happened to be an actual user that was no longer at the company. It appeared that this user, was being used for one of the service application administrators. I checked with Operations and indeed, “test.user” was purged from Exchange the day before. Working with operations, we recreated the same user name. We were unsure that this would work since the unique identifier of that user would be different, but it was worth a shot. After that user was added, I was able to access the Service Applications page again. Success! 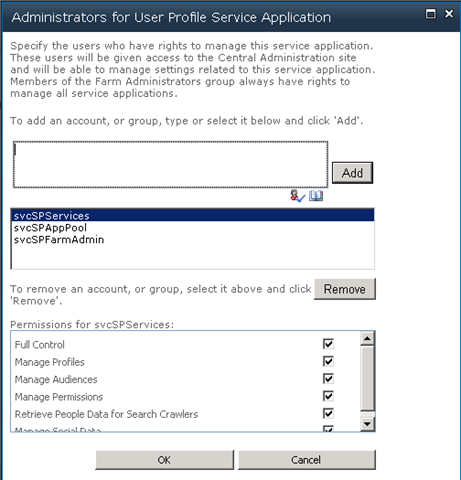 The next step was to remove the user as an admin from the service application. For this situation, the User Profile service application was the problem. I accessed the Administrators dialog and removed the user from the list of admins. The same user was also listed in the “Connections Permissions for User Profile Service Application.” I removed the user from that list as well. With the user removed from the service application, Operations purged that user again. 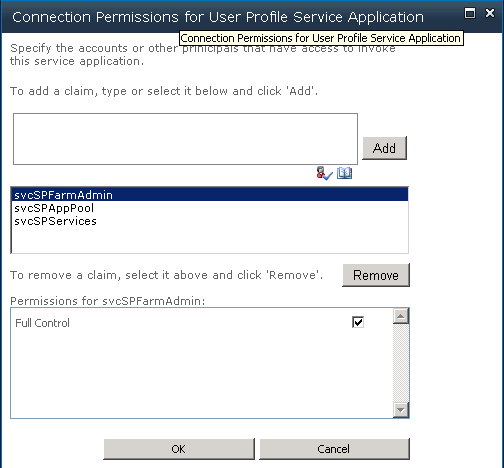 Afterward, I was able to access the Service Applications page without the error.